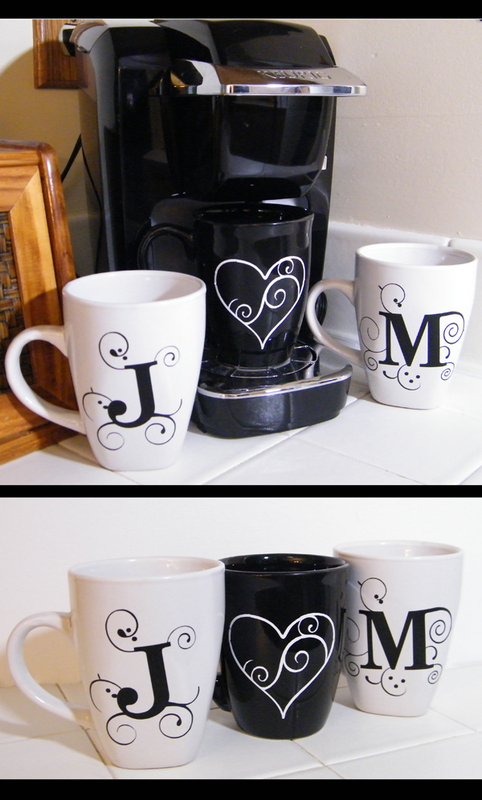 I created these monogrammed mugs as a gift for my sister and brother-in-law, Jen and Martin, who celebrated their 7 year wedding anniversary earlier this summer. Jen loves hot-tea and Martin is a coffee drinker, so I thought they would be a beautiful and useful gift to either display or use. The Duetica DT Woodwynds font looks great as a stand alone letter. They were easy to make, just traced the lettering with porcelain markers. This entry was posted in Decor, Design Team, gifts, Inspirational Ideas and tagged decor, digital, Duetica Lettering Arts Studio, Fonts, gift, monograms, wedding. Bookmark the permalink. Great idea I might have to do this too.